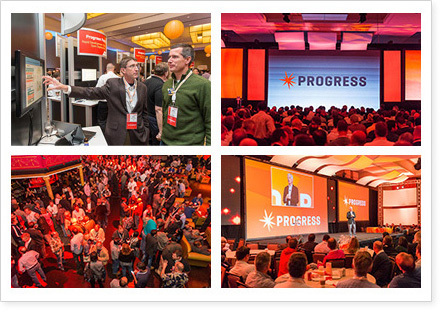 Progress Exchange 2014 brings together over 1,000 customers and partners, Progress business executives and product experts, leading technologists and the media to deliver insights that fuel innovation. You'll experience it all: Next-generation application development. Ground-breaking data connectivity. Tools and solutions that drive your business. And an integrated platform with the power to exceed your expectations. 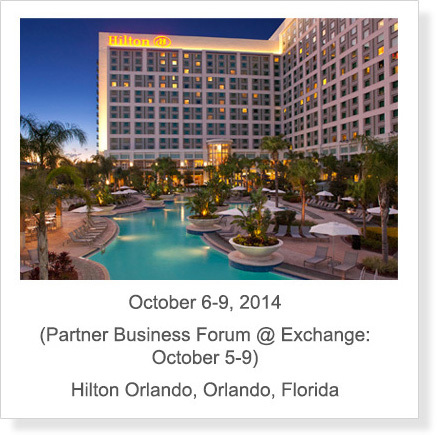 Register now for Progress Exchange 2014 and save $300! now to secure your seat. Full refunds will be granted upon notice of a written cancellation up to 30 days prior to the event. Copyright © 1993-2014. Progress Software Corporation. All Rights Reserved. To see the next generation of application development & data connectivity software, try now!